Luke Garroway: I've been out recruiting other members from other packs. Trust me. Plenty of wolves want to eat at the Jade Wolf. Maia Roberts (laughs): No, they don't. 9.6.2017 Plenty of wolves want to eat at the Jade Wolf. Jace Wayland: I… I just… I have to get to Alec. Luke Garroway: I know what you’re going through. I had a parabatai once. Jace Wayland: When Valentine turned on you, that must’ve been unbearable. Luke Garroway: It was. I felt like my life was over. But, over time, I got past it. Alec’s gonna be okay. 8.6.2017 I felt like my life was over. Luke Garroway: Well, it’s good to see you. Meliorn: I’d say the same, but, sadly, I’m incapable of lying. 8.6.2017 Sadly, I’m incapable of lying. Luke Garroway: You gotta fight. And those who care about you… they’ll fight with you. Maia Roberts: I don’t have anyone that cares about me. Luke Garroway: You do now. 8.6.2017 I don’t have anyone that cares about me. 5.6.2017 That means they can’t… Well, what do you know? 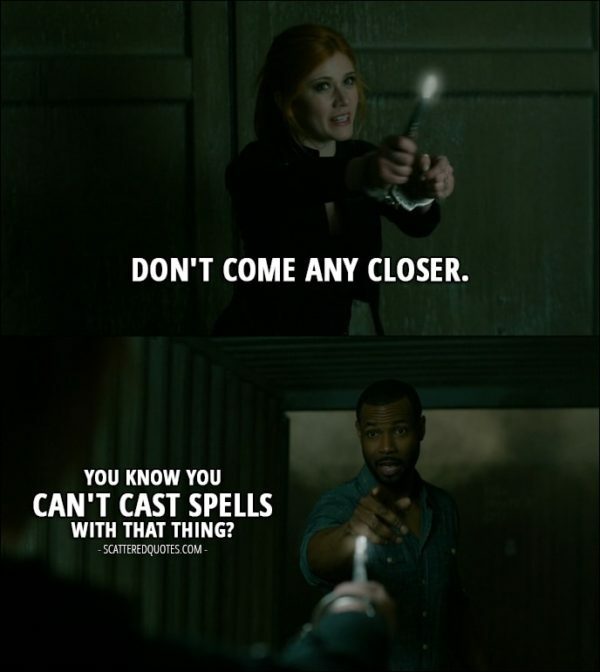 Luke Garroway: So, let me guess, your training stalled somewhere around here? Emotions running hot? Anything and everything makes you wanna vamp out? Simon Lewis: It's like... it's like going through puberty all over again. Just with less zits. 29.5.2017 It’s like going through puberty all over again. 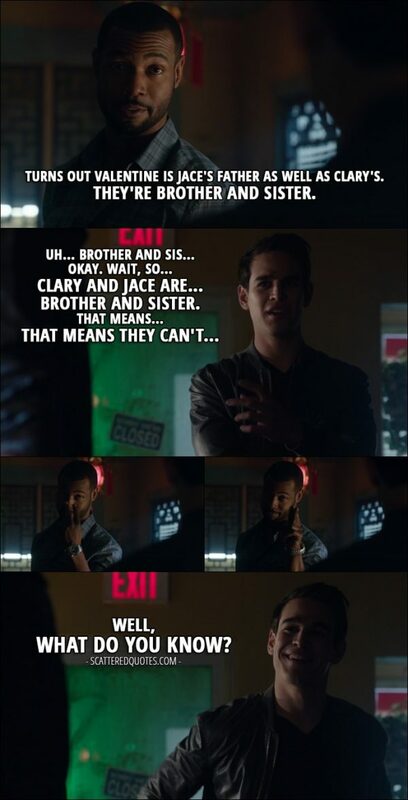 Luke Garroway: It's not that simple. Simon Lewis: Because vampires and werewolves hate each other? 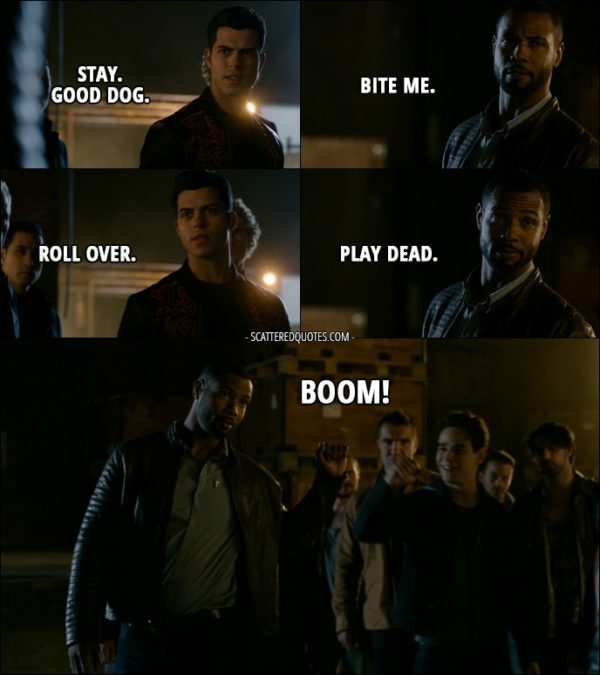 Luke Garroway: Not all vampires and werewolves. 29.5.2017 Because vampires and werewolves hate each other? Luke Garroway (to Clary about Simon): If you decide to bring him back, just know that his journey won’t be easy. So make sure you do it for him… and not yourself. 29.5.2017 So make sure you do it for him… and not yourself. Clary Fray: I never should have doubted you. Luke Garoway: We never should have lied to you. 18.5.2017 I never should have doubted you. Luke Garoway (to Clary): I promised your mother I’d always protect you. 18.5.2017 I promised your mother I’d always protect you. 18.5.2017 You know you can’t cast spells with that thing?